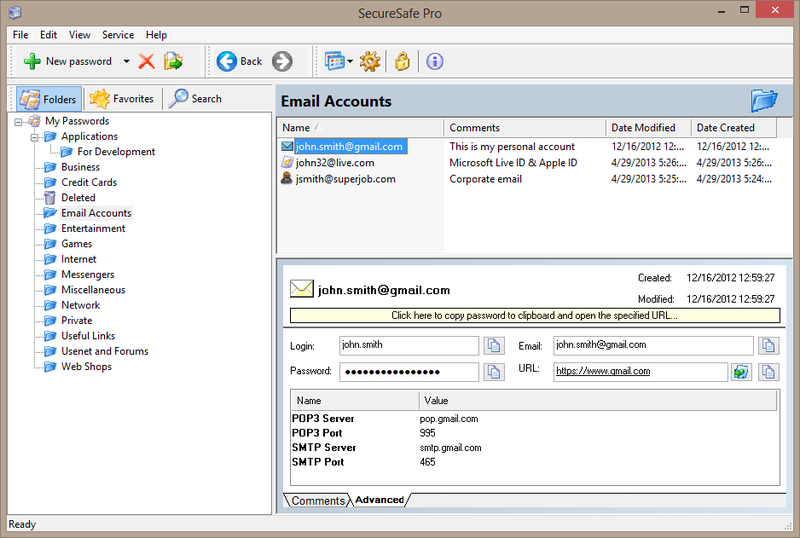 SecureSafe Pro 3.2 - Download Win Apps. Need to store all confidential information in one place? This is the solution!. Can't keep track of your online passwords and logins? Want to protect yourself against identity theft? SSP is a unique software solution for safely and securely storing confidential information: passwords, credit card numbers and confidential data. It comes with military-grade encryption options, requires remembering only one access password, can store files and is 100% FREE to try! Grab your copy now!